I may be in China, but that doesn’t mean I’m not keeping an eye out for car news in good ol’ Europe. From my very own home country comes a new innovation: a system that busts your car’s windows when you haven’t paid proper attention and went for an automotive swim. As is seemingly mandatory in the automotive safety industry (SIPS, ESP, ABS, ACC, TPMS, etc., etc. ), the system was blessed with a fancy sounding acronym: REGS, short for Rescue Escape Guidance System. Sensors inside the car’s interior are connected with a series of pyrotechnic actuators inside the automobile’s door panels. As soon as a sensor gets wet, a metal pin smashes the side windows to allow those that, by then, will have wet pants to exit the vehicle. As an addition to the system it’s also possible to incorporate a lighting strip around the window’s contours to improve orientation of the soaked unfortunates in dark or muddy waters. The system was developed by a collaboration of three Dutch companies that have found the Dutch National Police Services Agency (a fancy term for the branch of the police that operates nationally) a willing guinea pig. As a test 21 police vehicles are equipped with REGS. A funny choice to say the least, because you’d expect not too many police cars to hit the water on a yearly basis, given the officers have taken advanced driving tests and will generally pay more attention when they’re behind the wheel. But perhaps they’ll spill a cup of coffee – not usually enjoyed with a donut by Dutch coppers – on one of the sensors. The effects could be interesting. I guess that’s the systems inherent weak point then, and it isn’t just coffee you’d have to watch out with. Use dry cloth to clean your interior and make sure the window rubbers are in good condition. 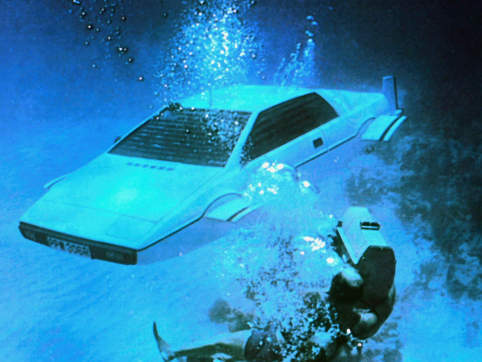 I doubt they’ll fit REGS on terrain vehicles too and James Bond will have to be careful not to spill his Vodka Martini when he’s going submarine. Your car is spying on you. This entry was posted in News and Views and tagged ABS, ACC, car, car news, China, Dutch National Police Services Agency, ESP, Europe, guinea, james bond, LS, MoT, police vehicle, REGS, Rescue Escape Guidance System, SIPS, TPMS, Vodka Martini by The Flying Dutchman. Bookmark the permalink.